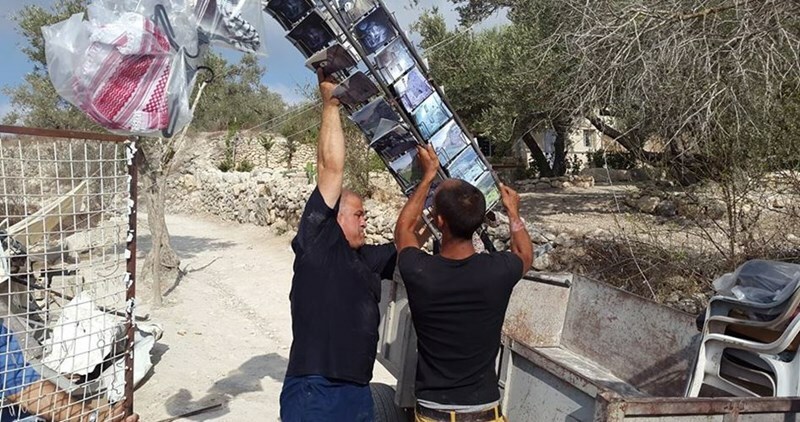 Crews of the Israeli Mekorot Company deliberately dumped waste water in Palestinian-owned land used to cultivate olive trees in Salfit, eyewitnesses told the PIC reporter. The sources pointed out that local farmers were not able to reach their agricultural lands for picking their olive harvest. Local activist Khaled Maali affirmed that Mekorot Company repeatedly cut off water supplies to Palestinians while increasing water flow to the neighboring illegal settlement. Local farmers are also prevented from drilling artesian wells in area, he added. Each year during the olive harvest many settlers attack Palestinian farmers, destroy trees, and even steal olives after they have been collected, making the Palestinian farmers fear for their livelihood. Olives not only makes up a large percentage of Palestinian income and food supply but the crop is also a part of the Palestinian identity, history, and culture. Israeli soldiers invaded, on Tuesday at dawn, the ar-Ram town, north of occupied East Jerusalem, and closed a store of belonging to the family of the Palestinian who was killed two days ago after killing two Israelis, and informed them the closure remains in effect until December 11. Dozens of Palestinians were injured during ensuing clashes. 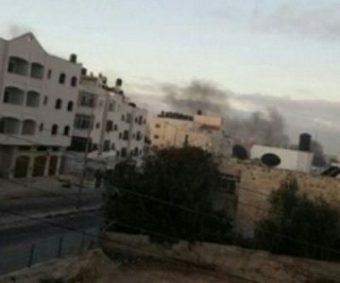 The WAFA Palestinian News & Info Agency said several Israeli military vehicles invaded the town, and imposed curfew, especially in the area surrounding the home of Misbah Abu Sbeih, 39, and the family store, before placing red wax seal on the door of the family’s candy store, and posted direct orders shutting them until December 11, 2016. Many youngsters burnt tires to obstruct the invading military vehicles and hurled stones at them, while the soldiers fired dozens of gas bombs and concussion grenades, in addition to dozens of rounds of live ammunition. The clashes lasted until morning hours, while Red Crescent medics provided treatment to scores of residents, and moved many to local clinics and hospitals. The invasion and ongoing clashes also prevented workers and students from leaving their homes, and the town itself, especially since the army is still isolating it, completely surrounded many streets and neighborhoods. 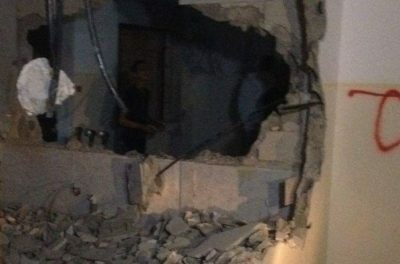 Israeli soldiers invaded, on Tuesday at dawn, Beit Forik town, east of the northern West Bank city of Nablus, and demolished an apartment of an imprisoned Palestinian, believed to be behind a shooting attack that led to the death of two Israeli settlers last year. During the invasion, the soldiers clashed with dozens of Palestinians and injured at least ten. Media sources in Nablus said the soldiers surrounded Khallet al-Eman area, in Beit Forik, before storming the family home of Amjad ‘Oleiwi, 48, then abducted and detained his family for several hours, and demolished their home. The sources added that clashes took place between the soldiers and dozens of local youngsters, who hurled stones and empty bottles at the invading army vehicles, while the soldiers fired dozens of gas bombs and rubber-coated steel bullets. Medical sources said dozens of residents, including many children, suffered the effects of teargas inhalation, and received the needed treatment, while one of them was moved to a hospital, after suffering moderate wounds. Salah ‘Oleiwi, the brother of Amjad, said the family filed a total of four appeals against the demolition, but were unable to save their home. The family lived in a residential building in Khallet al-Eman area; the detained Palestinian is a married father of eight; two boys and six girls. 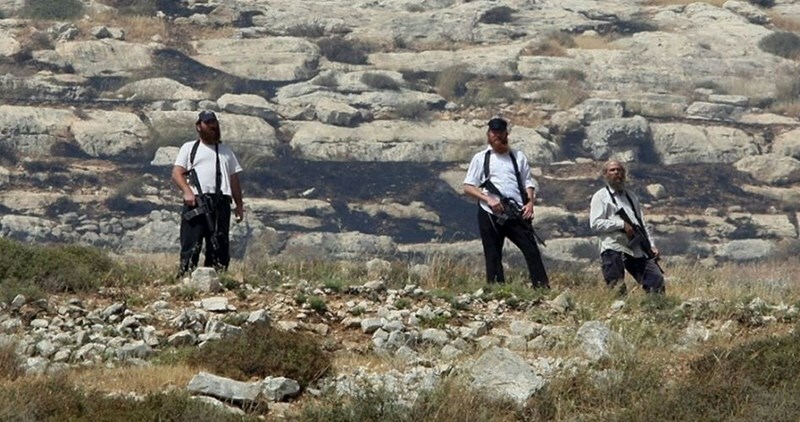 The shooting ‘Oleiwi is accused of planning, took place took place on October 1, 2015, near Itamar Israeli colony, built on Palestinian lands near Nablus. The victims of the shooting have been identified as Eitam Henkin, and his wife Na’ama, both in their thirties. The Israeli Occupation Forces (IOF) launched at dawn Monday a large-scale raid and arrest campaign throughout the West Bank, which led to the outbreak of violent clashes. In Qalqilia, dozens of Israeli soldiers stormed Azzoun town and arrested eight Palestinians including children. Several locals were also attacked and beaten during the raid, while three workshops were violently stormed. Equipment of the workshops were confiscated. Local sources told the PIC reporter that nearly 200 Israeli soldiers stormed the town after closing all its entrances by military checkpoints. Dozens of homes were stormed and violently searched during the raid, the sources pointed out. In Jenin, Israeli forces detained overnight and at dawn today three Palestinians after breaking into Yamon town. A state of tension prevailed among the locals after Israeli forces stormed and searched several homes. In Tulkarem, several Palestinians choked on teargas as Israeli forces stormed in large numbers Tulkarem refugee camp amid heavy firing of live ammunition and teargas bombs. Following the raid, violent clashes broke out in the refugee camp and lasted for long hours. At least one of the inhabitants was arrested during the clashes. In the same context, the Palestinian Prisoners Society (PPS) reported that Israeli forces arrested 52 Palestinians over the past 24 hours throughout the occupied West Bank and Jerusalem. The rights group said that 39 arrests were reported in occupied Jerusalem, while seven detainees were rounded up in Qalqilia. Two arrests were also reported in Jenin, while a young woman was detained in Tulkarem. The Israeli Occupation Forces (IOF) demolished Monday morning two Palestinian-owned agricultural facilities and threatened to demolish other homes in Yatta town south of Nablus. 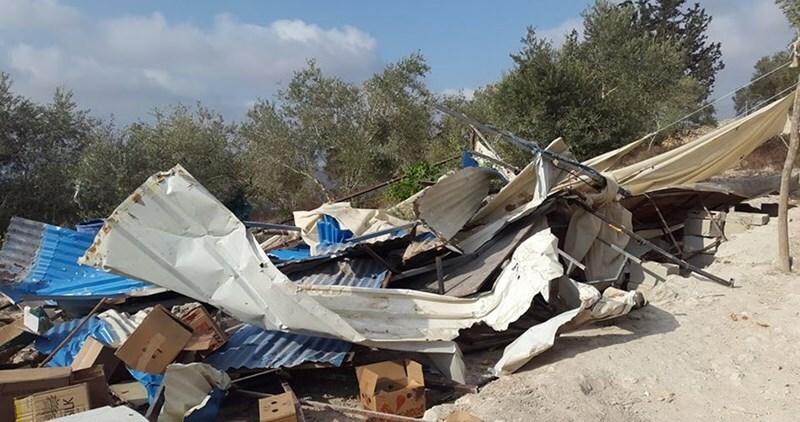 Head of the village council Khaled Abu Hmeid told Quds Press that Israeli forces demolished two Palestinian facilities under the pretext of being built without Israeli permit. Israeli forces also notified another local home with demolition under the same flimsy pretext. Meanwhile, IOF soldiers stopped a Palestinian vehicle carrying secondary school students and threatened the driver to confiscate his car in case he didn’t leave the area. Israeli soldiers, and police officers, invaded on Monday at dawn, the ar-Ram town, north of occupied East Jerusalem, and broke into the home of Misbah Abu Sbeih, who was killed Sunday after carrying out a deadly shooting attack in Jerusalem, and detained his daughter, Eman, only 14 years of age. The invasion into the property was the second in a few hours. The family said the soldiers violently searched the property, before taking Eman to the al-Maskobiyya detention and interrogation center. The invasion led to clashes between the soldiers and dozens of local youngsters, who hurled stones on the military vehicles, while the soldiers fired gas bombs and concussion grenades. The daughter added that she and her family said goodbye to him at dawn, believing he was going to prison for four months. He was killed after fatally shooting an Israeli officer and a woman. 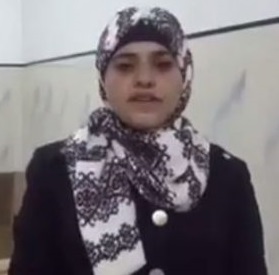 She also stated that she asked her father whether she should visit him while in prison, but he said that she, her sister and brothers, should take care of their studies, and do well I school. It is worth mentioning that the soldiers invaded the family home and took measurements of the property in preparation for demolishing it. 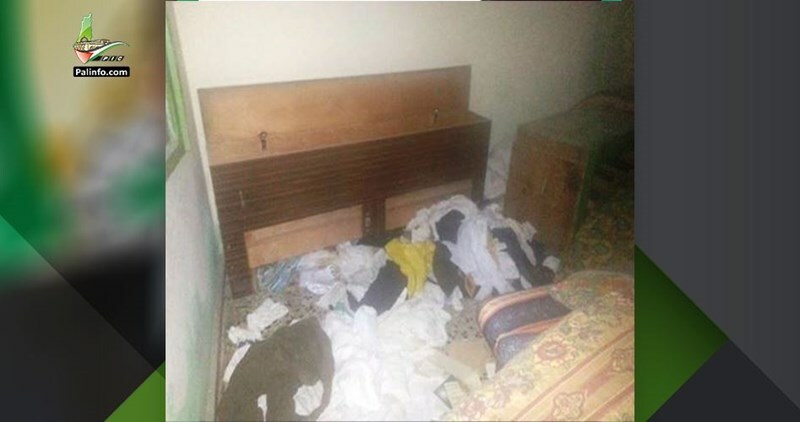 The soldiers also invaded and searched many homes belong to relatives of Abu Sbeih. On Sunday evening, undercover soldiers of the Israeli army invaded the at-Tour town, in Jerusalem, and clashed with local youngsters, before firing gas bombs, causing scores of residents to suffer the effects of teargas inhalation. The Israeli occupation authority (IOA) on Sunday demolished 10 Palestinian homes in the Bedouin village of Bir Haddaj, south of the Negev desert. Local official Sa’eid al-Kharumi said that Israeli bulldozers knocked down homes belonging to the family of Abu Merehil in the western area of the village and displaced their residents. Kharumi noted that the village is recognized by the IOA, but there is reluctance to provide a structural plan for the village and permits for its homes, where about 7,000 Palestinians are living. He expressed his belief that the demolition of Palestinian homes in the Negev is aimed at forcing the native residents to leave their homes in order to annex the abandoned areas for settlement construction. Activist Mootaz Besharat, in charge of the settlement file in the Jordan Valley, said a flock of ten Israeli military patrols and four army jeeps rolled into al-Ras al-Ahmar area and imposed a tight security cordon before they carried out large-scale demolitions. A chain of residential barracks and others for raising livestock, along with a water line used by over eight Palestinian families, were destroyed in the process. The occupation soldiers forced the native Palestinian inhabitants out and prevented them to come close to the demolition scene. According to observers, the demolitions make part of an Israeli scheme of ethnic cleansing against the Palestinian natives of the Jordan Valley. The Israeli occupation authorities have often come down heavily on the Palestinians living in the area, subjecting them to forced dislocation in an attempt to exploit the area’s abundant natural resources. Israeli bulldozers on Sunday morning leveled Palestinian lands in western Salfit province to expand the illegal Rafafa settlement. 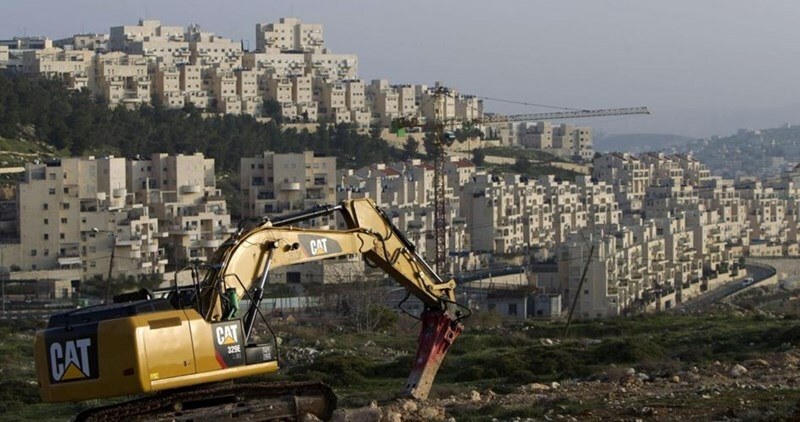 A PIC news correspondent said Israeli bulldozers and jackhammers razed Palestinian lands on the outskirts of the Rafafa settlement to pave the way for the construction of more residential apartments for Israeli settlers. 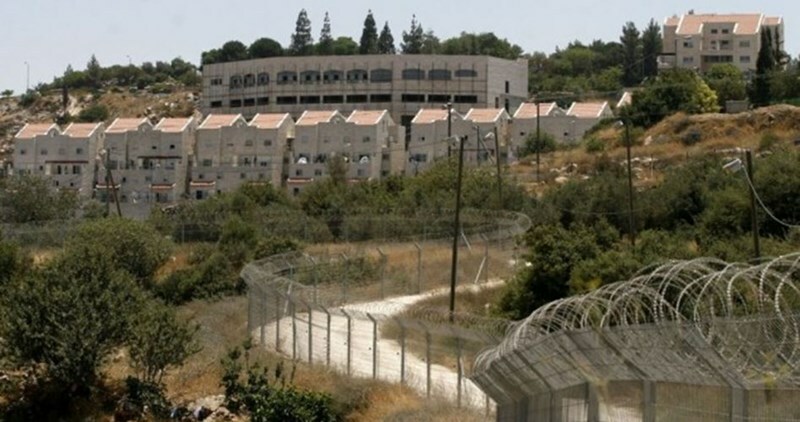 Researcher Khaled Maali said the Rafafa settlement was built in 1991 at the expense of Palestinian lands in western Salfit. According to Maali, Rafafa is one among 25 Israeli illegal settlements built on Palestinian lands in Salfit.